Skin infusion therapy reverses the signs of aging and skin damage to unleash a smoother more youthful complexion. How does this innovative therapy work? Here’s the skinny! It’s soothing, non-invasive and may just be the unsung hero of anti-aging and corrective skin treatments. Also referred to as LED light rejuvenation, skin infusion therapy at Pure Vanity Spa is far from your typical LED light treatments. The system we use merges the benefits of LED light therapy with topical skincare products specifically formulated to work in cooperation with the light to target the signs of aging and acne. How does skin infusion therapy work? First, a little science. LED (light-emitting diode) therapy is the process of converting light energy into cellular energy. Through a combination of red, blue and infrared light, these wavelengths work to help tissue convert the light into usable energy similar to the way sunlight helps plant cells process and use food and air. LED light therapy does essentially the same thing minus the harmful UV rays. By stimulating skin on cellular level, new collagen is produced, natural healing is triggered and skin becomes more supple and healthy. Now, the secret sauce. The reason our system is superior to other LED light therapies is that we incorporate topical skin treatments that the light “pushes” into the skin on a deeper level. Proprietary topical products plus a proprietary LED wavelength work together to infuse peptides and nutrients into the dermal layer of the skin (not just epidermis). The only other way to get these nutrients into the dermal layer is by injection.These products were created specifically to work in conjunction with our light therapy system. Topical light infusion, or skin infusion therapy, is FDA cleared, scrupulously researched and tested, and we believe the most effective treatment available for anti-aging and acne. Each color or wavelength of light has a specific purpose. Red LED light therapy stimulates the collagen-producing fibroblasts, which gives younger skin its plump look. The red light also minimizes fine lines and wrinkles, treats brown spots and stretch marks, and reduces redness. Similar to red LED light therapy, infrared (IR) LED light is invisible and can travel deeper into the body reaching soft tissues, muscles, joints and bone. Blue LED light therapy is quickly absorbed by acne-causing bacteria, which is then destroyed. Red light therapy is used after blue light exposure to help restore normal cellular function, repair damaged tissue and promote healthy skin. At Pure Vanity, our topical infusion treatments are incorporated into a full facial so that you get the most benefits. First a crystal-free microdermabrasion facial is performed to cleanse the skin of impurities and eliminate dead skin cells. An optional dermaplaning can also be added for an even deeper clean. You’ll then be put under the red light for 15 minutes to stimulate cell turnover. Next comes the proprietary blue skin infusion light that “pushes” a product targeted for your skin type into the dermal layer. The entire treatment is 75 minutes. Skin infusion therapy can also be an add-on or post-treatment for microneedling or chemical peel. Short-term benefits include immediately healthier-looking, hydrated skin. Acne patients will notice expedited healing over the following days and fewer new breakouts. Many of our clients also tell us that they feel happier and relaxed right after the treatments, which is a bonus side effect of the light. 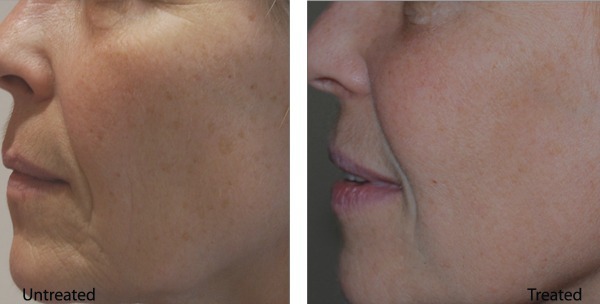 With a series of treatments, you’ll notice significantly diminished lines, plumper skin, reduced hyperpigmentation and reduced pore size. 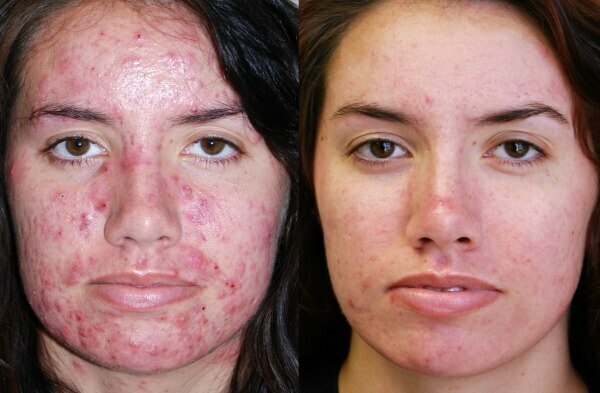 WIth continued treatment, acne patients will see a continued healing of the acne and fewer breakouts because of the continually reduced acne-causing bacteria. Skin infusion therapy is a treatment that our clients love because it’s relaxing, affordable and extremely effective. Give us a call at (480) 419-8267 to schedule your treatment today!